We are looking to turn great people into the best professionals through training, coaching and great challenges. At WETRON automation technology, we believe in people. We know they are our most important asset, which is why we are actively involved in their professional development. WETRON hasn’t stopped growing since it was created, and neither have our people, who are given challenging projects, training and responsibility from day one. 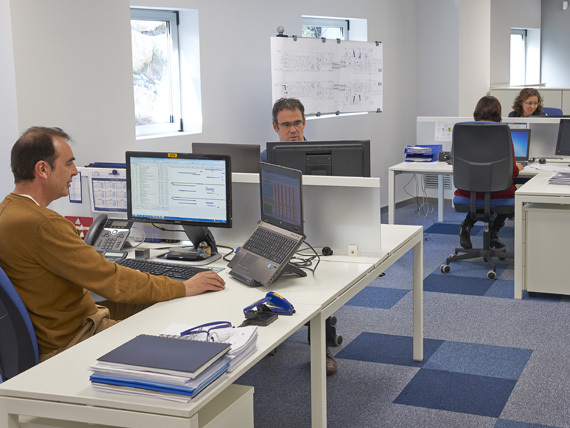 Rotation through the different departments so that our people have better knowledge of the company, its areas of business and clients, and of all the tasks involved in turnkey projects. Responsibility, since every person is actively involved in the execution of a project. Internal development plan for every employee.